HI EVERYBODY AND WELCOME TO "MONDAY'S MUSIC MOVES ME!" I know I have been MIA for awhile and I have missed you all!! There is just so much going on and I just can't seem to get a word out! I am playing along with XmasDolly! Feel free to join us by clicking on the button and linking up!! I am picking one of my favorite bands of All times!! Just try and Remember that whatever your going thru God is bigger than your problem and he cares and loves you very much! At the exact time you feel like giving up and you can't go on( not even for one more minute) Bam, He will move in your Life! 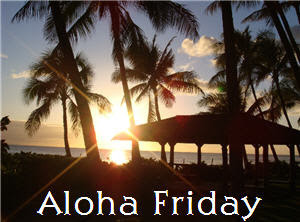 In Hawaii,Aloha Friday is the day they take it easy, and look forward to the weekend. So I thought that on Fridays I would and take it easy on the posting,as they do in Hawaii! Therefore, I’ll ask a simple question for you to answer. Nothing that requires a lengthy response. Oh, and don't forget to click on the link anywhere that's and play along with Kailani, and the rest of us! 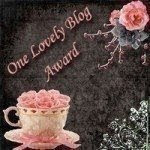 You will make some new bloggy friends too!! Do you have a fireplace in your home,apt,condo?? yes,I do and if the temperature gets into the forties you guessed it I light a fire!!!!! 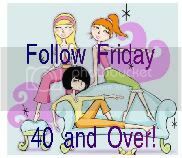 I am also playing Friday follow 40 and Over with Java!,So if your over 40 hop on in and meet some new bloggy peeps!! !Even if your not it's cool jump on in and hit her button!!! Have a wonderful weekend!Love to you All!!! do you have any estranged grown children from you and if so how do you handle it At this holiday time?? 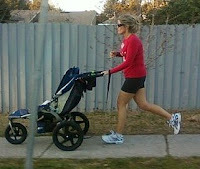 I am also playing Friday follow 40 and Over ;with Java!,So if your over 40 hop on in and meet some new bloggy peeps!! !Even if your not it's cool jump on in and hit her button!!! Do you Like your Back scratched or Rubbed? I am playing along with XmasDolly! The theme this week is... Something spooky!!! This is a super oldie but I always remember hearing it around Halloween Time!!! I just loved this one and know you will too!!! !It is the original!!! Ahahahaha!!!! The theme this week is... Anything that Makes You Move! This is a super oldie but I remember it as a kid!! Oh My Goodnes the clothes!!!!!!!!!!LOL! I just loved this one and know you will too!!!! Woo~Hoo!!! so pick a song and lets boogie!! What is your favorite brand of jeans to wear and what style!? I am loving the Gap Long-n-Lean jeans~ they just accentuate all the right places and are so comfortable!! and whatever you do have a great weekend!Be kinder than usual you never know what battle the person you come in contact with is fighting! Hi. My name is Olga. 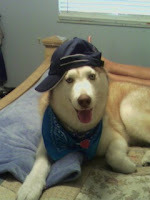 I am a Christian ,wife married to, we'll have to call him Big Chucky.I am also Mommy to 2 year old twins, Lil' Chucky and Maggie Pie.I am also Mom to Belle,Jill and Jason who are all in their early 20's.Oh and I can't forget about my Husky named Balto.He is the best dog on the planet! 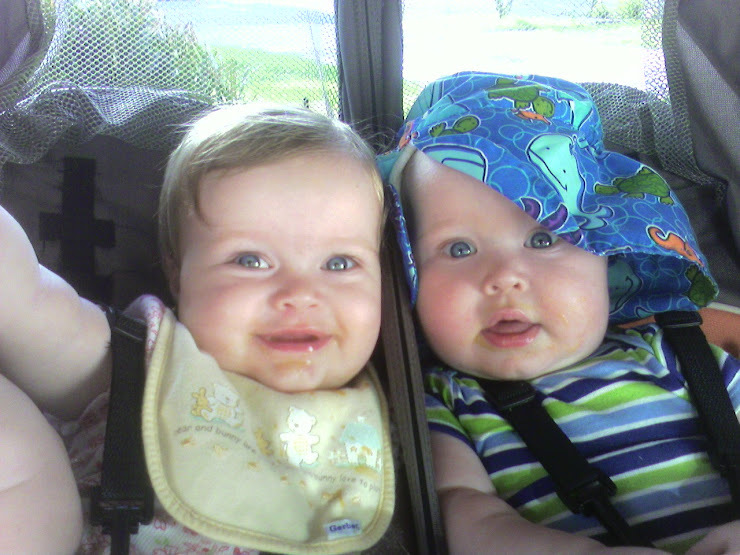 Before my twins were born I worked for a major airline.I decided to take an early retirement to be able to stay home with them. 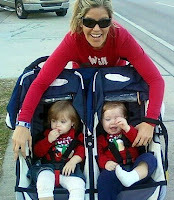 I started this blog as a way to share my passion about my Lord and Savior,my twins,and running thus TwinspirationalRunner was born! So many things have happened in the year that my twins came into this world.I will be writing and sharing about this sometimes. It will be painful for me but I plan on keeping it real and sprinkled with humor because that is how I've always gotten thru life. I am fully reliant on God and I hope you will be inspired, motivated, moved and maybe even laugh a little,okay Alot! Most of all I hope you will come to see how my ordinary life is being transformed into a beautiful work of God that is still in progress!God's love is Always All ways! Get the Expedia Multi-Booking Panel Widget widget and many other great free widgets at Widgetbox!